Working on a construction site can be dangerous, and scaffolding in particular poses a threat to workers. At Pulgini & Norton, we help Boston employees seek compensation for their job-related injuries. Our construction accident lawyers represent workers who were hurt on scaffolding or similar structures. We can advise you on your rights and how you can pursue compensation for your injuries. The worker is struck by either the scaffolding or another falling object. OSHA sets strict safety standards when it comes to scaffolding, including training requirements for employees, adherence to scaffold specifications, and fall protection. When an accident occurs, the worker, or his or her family, may seek compensation for the injuries or tragic death that result. You may be entitled to financial assistance in Massachusetts if you were working on a construction site and were involved in a scaffolding accident. The state requires that all employers carry a form of no-fault insurance called workers’ compensation. This provides medical, lost wage, and other benefits to those hurt on the job, irrespective of fault. In other words, it does not matter whether you, your employer, or a co-worker is responsible for the accident. You can receive workers’ compensation as long as you were out of work for a minimum of five days. You would need to prove that your injury was job-related, and also that it was severe, in order to qualify for certain benefits. Many workers’ compensation claims run into issues during the process. For example, your employer’s insurer will determine whether your injury resulted in a partial disability, a temporary total disability, or a permanent total disability. Your wage benefits will vary based on which type of disability you have. The insurer may argue that your injury is not as severe as you claim, and you would need to prove the severity of your disability in order to receive the wage benefits you deserve. The insurer may also dispute the type of medical treatment you need. While workers’ compensation covers any reasonable and necessary medical care, the insurer may claim that certain treatment is unnecessary for your condition and refuse to cover its cost. The insurer may deny your claim from the outset or seek to reduce your coverage after it has approved your claim. Our attorneys can gather the medical evidence you need to support your claim and assist you through an appeal if necessary. You typically cannot sue your employer for a job-related accident. Your company essentially provides workers’ compensation in exchange for your forfeiting your right to pursue a personal injury claim against it. If your employer’s willful misconduct caused your harm, however, you may be entitled to additional damages under Massachusetts law. A string of OSHA violations, for example, may show that your injuries are attributable to egregious wrongdoing. 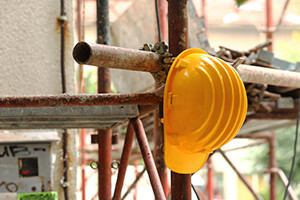 A third party, such as a subcontractor or an engineer, may be responsible for a scaffolding accident. You can file a personal injury claim against the party you believe caused your harm. In most cases, you would have to prove that its negligence was responsible for the accident. We can move quickly to gather the evidence necessary to build your case. The workers’ compensation attorneys at Pulgini & Norton provide knowledgeable and client-focused advocacy to injured individuals throughout the Boston area. If you were hurt in a scaffolding accident, we can help you seek benefits or file a claim against a third party responsible for it. Our attorneys have more than four decades of combined experience representing individuals and families in Massachusetts communities like Lowell, Quincy, and Somerville. We can advise you if you were hurt in a workplace accident. Call our office today at 781-843-2200 or contact us online to schedule a consultation.